Welcome to the epic journey around “Stans” where you will explore the verdant valleys and pristine lakes of the Tian-shanMountains and blend it with rich history and culture of the Silk Road. This journey, which covers the tours to the sights of Kazakhstan, Kyrgyzstan, Uzbekistan and Turkmenistan, will introduce you to the rich nomadic and sedentary culture, lifestyle and traditions of different ethnic groups residing in this vast region of former Soviet “Stan” countries. Meet at the airport and transfer to the hotel for early check-in. Breakfast. Short sightseeing of Tashkent. Today you can see the contrast between the old and modern city. Visiting old town you will enjoy oriental bazaar Chorsu which is open daily from morning till evening. 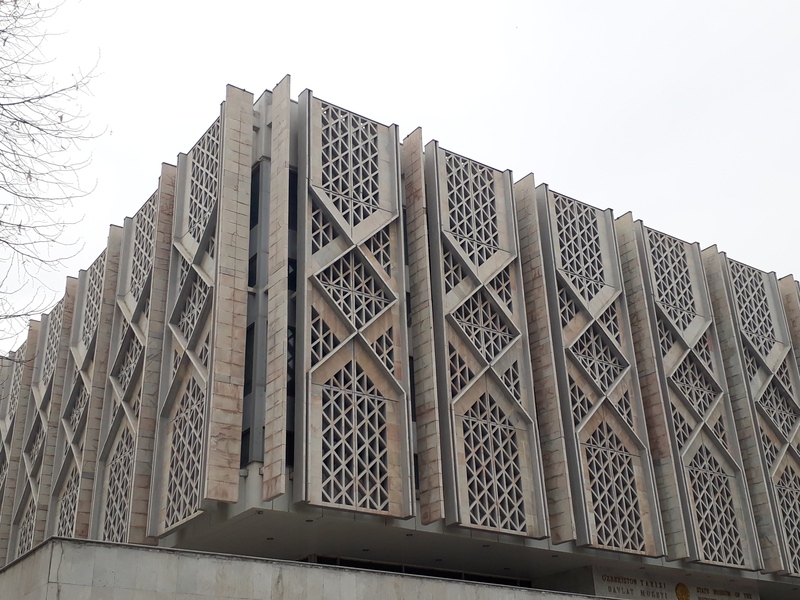 Visit of Khasti Imam complex that includesBarakhan madrasa of XVI C, MuiMuborak library where you can see the holy book Qoran of VII C.
In 30 Km From Turkestan You Can Look At The Excavations Of Ancient City – Otrar – Which Was Destroyed In 15th Century. The First Settlement In Otrar Area Was Built In The 1st Century BC. It Was Founded By the Sakatribe Descendants – Kanguy – And In The 6th -7thCenturies Was Referred To As Kangu-Taraban. Visit One More Architectural Monument Of 19th Century – Arystanbab Mausoleum. Like KhadzhaAkhmadYassaui Mausoleum, It Is An Active Shrine And Attracts A Lot Of Pilgrims. On Both Sides Of The Road You Will See Many Hills – Those Are The Remains Of Ancient Settlements, Which Were Abundant In Syr-Darya Valley. In Shaulder There Is A Small History Museum With Numerous Ancient Exhibits And OtrarFight Diorama.” AksuuDjabagli Village. Dinner and overnight at Aksuu-Inn Guest house. 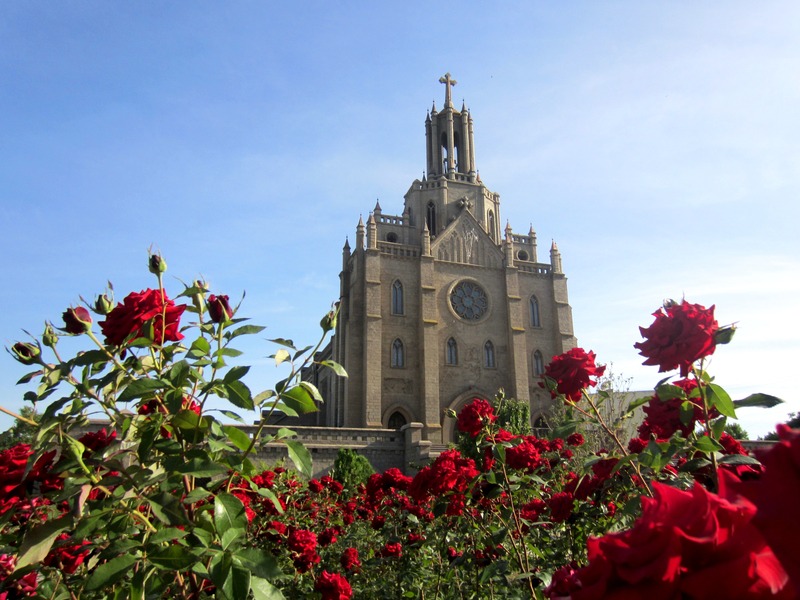 After breakfast walking tour around Bishkekcity which will take you to the biggest and capital city of Kyrgyzstan where every traveller will find something interesting. The Museum of History will amaze you with one of the largest ethnographic collections in the world, whereas in the Museum of Fine Arts, you will see subtleties of the traditional yurt installation and its interior planning. In the coloful Osh bazaar you will find lots of interesting souvenirs.Lunchin Bishkek and transfer to Chon Kemin valley (national nature reserve). On the way visit Burana Tower (minaret of 11 century) and the museum under open air of Balbals (stone warriors). Then continue driving to Don-Aryk village and watch the Horse game and After Horse game you will have lunch at Kyrgyz family where you will have a chance to taste one of the Kyrgyz National Food (which is called Besh-Barmak it means Five Finger leaking food).Later, keep driving to Chon-Kemin valley to Ashu-guesthouse.Dinner and overnight at guesthouse. En-route stop at felt show. Boat-cruise. Lunch on board. Afternoon drive to Karakol. Sightseeing tour: visit of the museum of M.V. Prejvalsky, one of the world’s greatest explorers. His main achievements were the crossing of the great desert Taklamakan and the discovery of more than 4000 animals, including the Horse of Prejevalsky. Later, you will visit the Dungan mosque. One of its highlights is the fact that it is built in Chinese style without using a single metal nail. This will be followed by the visit of an old wooden Orthodox Church. Dinner in Uyghur family. Kyrgyzstan is multiethnic country and today you will have a chance to taste Uyghur food and get acquainted with their culture and traditions which will be provided by Kyrgyz folklore show. Overnight in the hotel. In the morning you will be transferred to AltynArashan gorge by Russian military 4WD vehicle where you will have an experience to take a ride on a Russian Military Truck. AltynArashan (“Golden Spa”) gorge is one of the most famous gorges in Karakol, and where you will see wonderful fir tree forests and there are also thermal springs in the whole gorge where you can take a bath, after bath at hot springs you will have 1 hour for hiking in the gorge and then you will be transferred to the city. Dinner in a local café. Overnight in the hotel. After breakfast transfer to Jety-Oguz Gorge. Picturesque Jeti-Oguz gorge is located 28 kilometers to the south-west of the town of Karakol. Its name in Kyrgyz language means “Seven bulls”. The name is symbolic, because there is a 35 km long wall of seven huge red-brown cliffs resembling ranked furious bulls standing together. In front of the cliffs there are flat mountain slopes, thickly overgrown with grass and pine trees. Especially romantic look has the rock “Broken Heart” located at the entrance to the gorge. Jeti-Oguz is also famous for its hot springs with water enriched with radon and hydrogen sulfide. In the place they hit out of the ground, at the altitude of 2200 m, there is a resort. The water in springs is useful for the treatment of rheumatism, gastric and nervous diseases. Rising higher, you can reach the pan of Kok-Dzhayyk with wonderful views of the gorge, or the Valley of Flowers strewn with poppies. At the upper part of Jets-Oguz there are also mountain lakes and roaring waterfalls. After hiking in the Gorge transfer to Beltam Yurt camp where you can watch one of the ancient traditions of Kyrgyz people – eagle hunting show. Upon arrival to Bel-Tam seaside yurt camp you will have time to go to the beach of the lake where you can lie on the warm sand or swim in the lake. Dinner and overnight in Bel-tam seaside yurt camp. In the morning transfer to Kochkor village. Upon arrival to Kochkor you will visit a felt carpet workshop of a local women co-op and where will be demonstrated how to make Kyrgyz national felt carpets by Masters. Lunch in Kochkor. Afternoon drive to Tashrabat. Tash Rabat- Caravanserai on the Great Silk Road (Stone Castle from the 15th century). 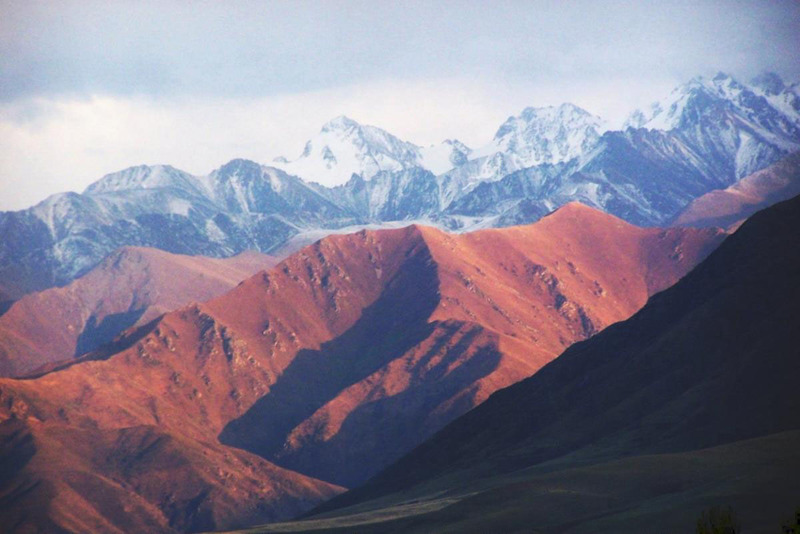 Tash Rabat is located in the heart of Tian Shan Mountains at the altitude of 3200 m above sea level; moreover there is no any analogue in all over the world, because Tash-Rabat was built inside of the mountain using the Stones. Furthermore Tash-Rabat used to be one of the cities on the Great Silk Road and which was used as hotel and shelter for caravan people. There are 31 rooms were built in Tash-Rabat caravanserai and the thickness of walls is 1 m. There were also built dungeons for ancient thieves. Upon arrival to Tash-Rabat you will enjoy your Lunch at local yurt camp where you will have an experience to overnight in yurts (Kyrgyz nomadic house). Dinner and overnight in yurts near by the Tash Rabat caravanserai. After breakfast you will have time to explore Tashrabat canyon. Lunch at Tashrabat. After lunch transfer to the second largest lake in Kyrgyzstan – Son Kul Lake. Son Kul Lake is situated on 3013 meters above sea level and surrounded by beautiful mountains. This lake is very famous for its relaxing atmosphere as it is situated far from busy cities. Upon arrival, free time to relax from long drive. Dinner and overnight in Kyrgyz yurts, it is made of a wooden skeleton, covered with felt coverings and built without using any nails. In the morning to Chychkan gorge with its beautiful forests via Kyzyl-Oy village and Suusamyr valley. Overnight in Oson Motel. Transfer to Sary-Chelek . On the way you will be passing one of the most gorgeous reservoirs in Central Asia,It is Toktogul Reservoir, which funnels the beautiful Naryn River into a hydroelectric station. Then continue driving all the way to Sary-Chelek lake, The SaryChelek is a biosphere reserve, which lies in the Arkit Gorge, a relatively small mountain hollow in the Chatkal Mountains. Sary-Chelek (literally ‘yellow bucket’) is a fairly small, alpine lake set by conifers, and relict fruits and nut forest at an altitude of 1,873m and where will be our overnight place. Dinner with a local family. Family run accommodation. After early breakfast to drive to Sary-Chelek lake where you will have a chance to stretch your legs and hike around a marvelous lake. Early Lunch at Sary-Chelek Lake in open air condition with gorgeous scenery to the mountains and Sary-Cheleklake.After lunch Transfer to Arslanbob village. And where you will eye-witness one of the largest and the biggest fruit-walnut forest in the world and which is considered to be a sacred one. Later on you will have a great chance to take a walk or hike to the main sightseeing of Arslanbob where beautiful scenery is guaranteed: Big Waterfall and Small Waterfall and Walnut Forest which are not far from the village and which attract tourists, pilgrims and other visitors during the spring and summer months. Picnic/lunch. Dinner with a local family. After breakfast transfer to Osh. 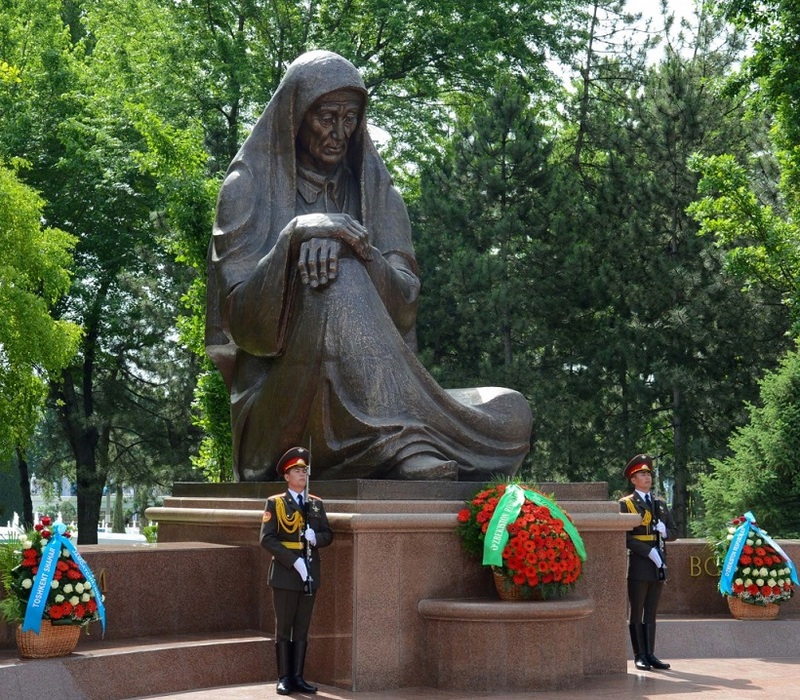 On the way you will visit a market and mausoleum in Uzgen. Uzgen town was one of the capitals of the Karakhanid Empire in the XI th and XII th centuries. Lunch en route. Arrival in Osh in the afternoon. Sightseeing tour in Osh. According to the legends, Osh city was founded some ages ago by King Solomon time and had an important position and played a great role on trading routes of the Great Silk Road. That’s why; today you will have a possibility to visit the original place of the market(Osh Bazaar) which used to be during the Great Silk Road time then Suleiman-Too (Solomon’s Mountain ). Overnight in the hotel. In the morning drive to Margilan and visit the silk factory in Margilan and drive to Rishtan to visit the workshop of a ceramist. Continue driving to Kokand. Lunch.Short sightseeing ofKokand.Visit the Khudayarkhan’s Palace and the Jome mosque. Continue journey to Tashkent. Overnight in Tashkent. After breakfast transfer to the railway station to board a high-speed train to Samarkand. Arrival to Samarkand. Drive to the village of Khartang for the ziyara of the Mosque and Mausoleum of Imam al-Bukhari (Al-Bukhari Mukhammad bin Ismail Abu Abdallakh al-Djufi(810-870) 20 km from Samarkand). Drive to back Samarkand and lunch. Hotel check-in. Afternoon sightseeing of Samarkand. Samarkand, sometimes called the Rome of the Orient’ was already flourishing when Rome and Babylon were founded. We will visit the Observatory of Ulughbek; the site where Uligbek, grandson of Tamerlane, made some of the greatest achievements of the pre-telescope era of astronomy in the 15th century. We also visit the regal mausoleums of Shah-I Zinda, site of Central Asia’s most sacred Islamic shrine, the massive mosque of Bibi Khanym, and the adjacent colourful market. Dinner. Overnight in Samarkand. During the course of our full day tour we visit the famous Registan Square, Bibi KhanumMosque,Mausoleum of Tamerlane and the Observatory of Ulughbek; the site where UlegBek, grandson of Tamerlane, made some of the greatest achievements of the pre-telescope era of astronomy in the 15th century. We also visit the regal mausoleums of Shah-I Zinda, site of Central Asia’s most sacred Islamic shrine, the massive mosque of Bibi Khanym, and the adjacent colourful market. We’ll also visit the old bazaar for which this exotic city is famous for. 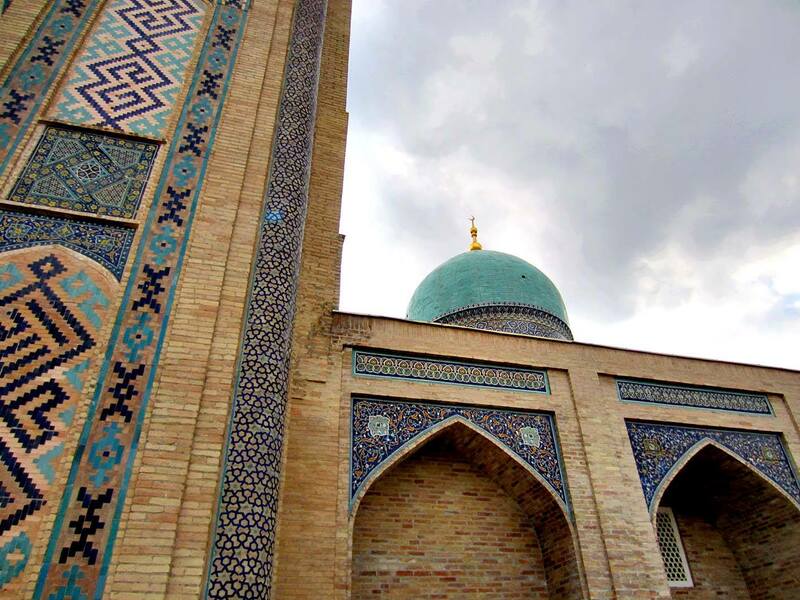 Travel to Bukhara via Shakrisabz, the birthplace of Tamerlane. We visit Tamerlane’s palace Ak Sarai, the KokGumbaz mosque, Mausoleum of Jehangir (Tamerlane’s grandson) and Tamerlane’s Mausoleum. Arrival to Bukhara. Dinner. Overnight in Hotel. Today we explore the old quarter on foot. We will visit bustling “trade domes,” active mosques, and the Kalyan Minaret (“tower of death”), one of Central Asia’s tallest. We’ll stroll around the streets and visit the old town .We also visit The Ark, a large fortress with the Emir’s open-air throne room and the Mausoleum of Ismail Samani, an intricate and beautiful 10th century brick structure that is nicely preserved. We will also visit the local market to interact with local people. This morning we’ll also venture to the outskirts of Bukhara and visit the complex of BahouddinNaqshband, He was the founder of the Naqshbandiyatariqat. Then we will visit the summer palace of the last emir with grand halls and a harem. We will also see Char Minar, a gate of an ancient madrassa long time gone. It was built in 1809 and has more in common with Indian art styles than local. Free afternoon. Dinner inside a 17th century madrasa with a traditional music and dance show. Overnight in Bukhara. In the morning drive to Khiva throughKyzylkum desert. Picnic lunch in the roadside desert café. En-route stop to view the legendary Amudaryo( Oxus) river. Arrive in Khiva. Dinner. Overnight in Khiva. Khiva is an ancient walled city and looks much like it did in centuries past. It is one of the few sites in Central Asia where one can easily imagine life during the time of the emirates. We will spend the morning wandering its maze of ruins and great mosques. Later, a tour of this living museum including the Ichon-Qala gates, Muhammad Amin and Rakhim Khan’s Medressas, Tosh-Khovli Palace, Islom-KhodjaMedressa and Minaret. Overnight in Khiva at hotel . After breakfast sightseeing Ashgabat. 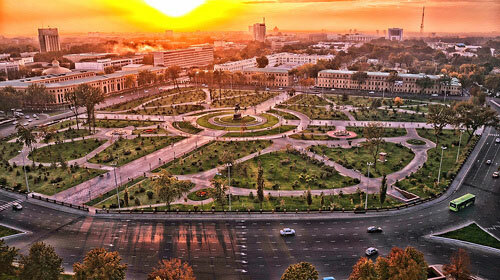 Ashgbat is the pearl of Central Asia, with its modern buildings, apartments which were rebuilt after the independence of Turkmenistan and as well as after the earqulake of 1948. Visit National Museum of History & Ethnography Excursion to Nisa (Visit Old Nisa ruins), discover Kopet Dag mountains, Carpet Museum, Arch of Neutrality, ErtogrulGazi Mosque &Turkmenbashy Spiritual Mosque. Overnight in Ashgabat. Visit the Gas Crater (“gate of the Hell”).It is quite an unusual site right in the desert. 80 meters wide and 30 meters deep burning gas crater was set fire in the 60ies of the last century to stop the gas emission. Drive back to Ashgabat. Overnight in Ashgabat.Farewell Dinner. After breakfast transfer to the airport. End of services.